The idea of a concept car is for an automobile manufacturer to flex their creative muscles and showcase the best of the best innovation, style, power, efficiency, capability, etc. Which ever way you want to spin in, concept cars are the results of a designers inner child being set free on the world of automobilia. They’re brash, over-the-top, stylish, and… rarely see production as they’re presented. This means that over the years, we’ve seen some incredible concept cars unveiled at many prestigious automobile shows across the globe, only to be enjoyed and swooned over for a few moments, then hidden from view and either scrapped entirely, or chopped up so that other models may borrow elements of their creation. 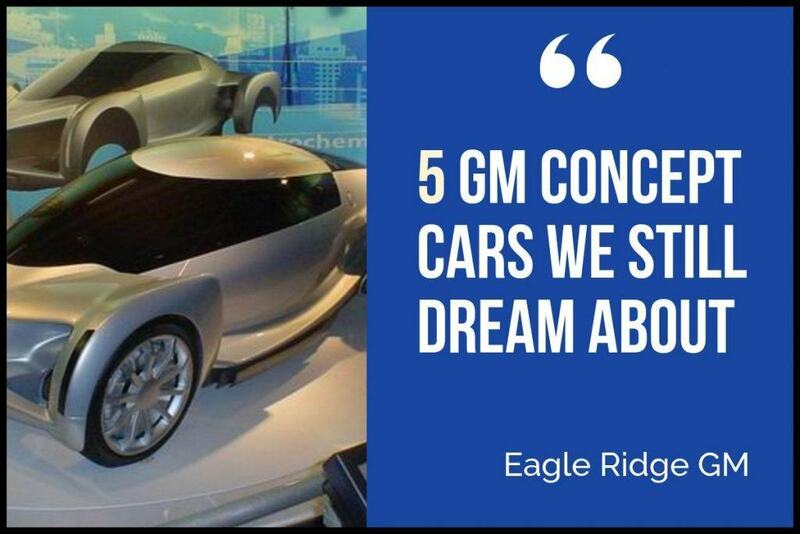 In this post, we’re going to revisit 5 GM concept cars that we’re still dreaming about; wishing they went into production. An absolute stunning engineering achievement and a true testament to the luxury chops of Buick, the 2003 Buick Blackhawk concept was created to celebrate the 100th anniversary of GM’s luxury brand. Only one of them was ever made, making this exclusive concept vehicle unfathomably rare. The Blackhawk was different from most concept cars in that it was never built for, or considered for production, and it lacked the same attention to innovation as other concept car variants. Instead, the Blackhawk recycled parts, panels and styling from 1939-1986 Buick predecessors. 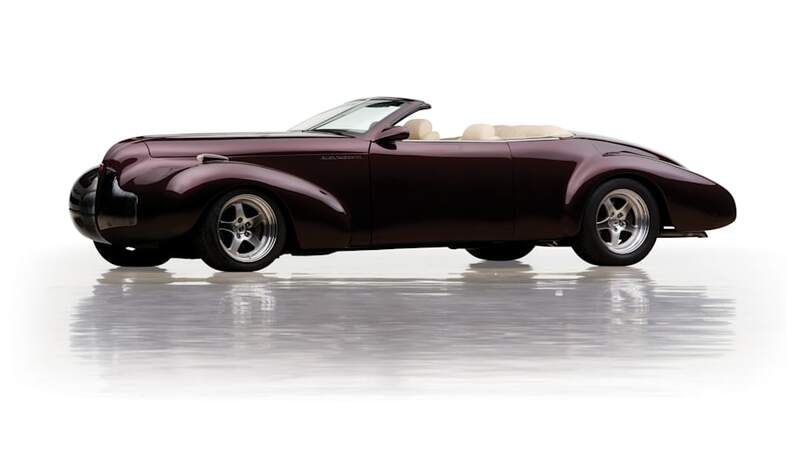 The long, slinky, and smooth body is a direct hearkening to the 1938 Buick Y Job concept, and featured a fully contractible carbon-fibre roof that was stored in the deck lid near the trunk. The entirely handmade vehicle featured a recycled, handmade interior that borrowed components from the ‘96 Buick Riviera, and was powered by a 455 cubic inch Buick GS stage III V8 from 1970 producing a monumental 463 horsepower and 510 lb/ft of torque at a modest 4200 RPM. The Blackhawk appeared in the film Bad Boys 2, where it was driven by Will Smith on the streets of Miami, and sold at the Barrett-Jackson 2009 Scottsdale auction as part of the GM Heritage Collection for an eye-watering $522,500.00 While the Blackhawk never made it to production, we suspect that styling cues were borrowed from the concept and injected into the retro-styled Chevrolet SSR of 2003-2006. In 1973, the Chevrolet Corvette was the bowtie brand’s biggest and baddest sports car offering, positioned to take on the best of European and Japanese performance vehicles. In 1969, Corvette godfather Zora Arkus-Duntov built an experimental Vette prototype called the XP-882, which featured a mid-engine layout – smashing the Corvette’s existing (to this day) layout as a blue collar, front engine, rear-wheel-drive muscle car. Then Chevy General Manager, John DeLorean (yes, that DeLorean), stopped the project from continuing but brought it back from the dead to lessen the media sensation of Ford’s newly introduced mid-engine Pantera in 1972. DeLorean’s refurbished XP-882 featured a four-rotor Wankel rotary engine producing 420 horsepower and had it made it to production, would have seen the Corvette more staunchly compete with the likes of Ferrari, Porsche, and Lamborghini. The new DeLorean-bred XP was shown at the 1973 Paris and Chicago motor shows. Aptly nicknamed the Aerovette, the concept was scrapped again in 1973 when Chevy also nixed their rotary development program, and the Corvette remained as a front engine, rear-wheel-drive vehicle for cost reasons… But that wheel has continued to turn, and we may see a mid-engine Corvette concept emerge yet again within the next few years. 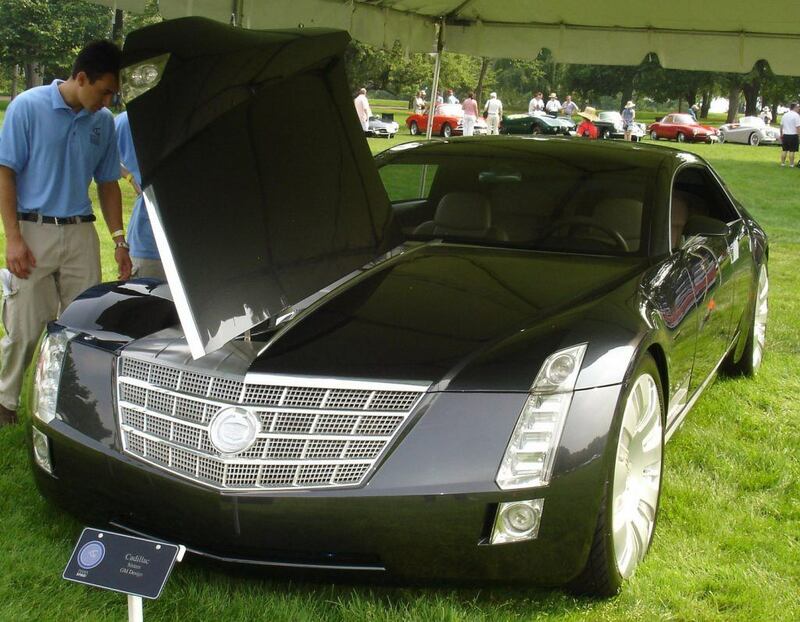 A full-size luxury concept car first showcased in 2003, the Cadillac Sixteen took extravagance and excess to the absolute maximum. Premiering Cadillac’s “Art & Science” design theme that has dictated the brand’s aesthetic to this day, the Sixteen even featured a hard carved crystal Cadillac logo on the steering wheel, and a Bulgari clock on the dash. Weighing in at 5,005 pounds and featuring a massive, 13.6L 829 cubic inch 32-valve, 16-cylinder engine – the Sixteen was said to produce a minimum of 1000 naturally-aspirated horsepower and at least 1000 ib/ft of torque — good for a bewilderingly impressive fuel efficiency rating of 14.13L/100km thanks to an innovative “Displacement On Demand” Active Fuel Management system that could shut down 12 or 8 of the engine’s cylinders. While the Sixteen never saw production, many auto journalists believe a possible limited production run of a Cadillac Halo model – possibly similar in scope and style to the Sixteen – may be in the cards for the near future. In January of 2002, GM introduced the hydrogen fuel cell powered, drive-by-wire system, Hy-Wire concept – a name given to the vehicle by a classroom of kindergarten students – the Hy-Wire was GM’s $1 billion dollar bet. A gamble that didn’t impress everyone, namely the oil/gas industry. GM engineer, Adrian Chernoff, compared the feat of the Hy-Wire’s creation to that of the Wright Brothers mastery of flight in 1903. The vehicle began its life as the AUTOnomy concept vehicle, the first-ever combination of fuel cell propulsion with drive-by-wire technology that allowed for steering, braking and acceleration to be controlled via digital input, rather than traditional mechanized processes like pedals and wheels. First introduced at the Detroit Auto Show in 2002, the Hy-Wire was exceptionally unique in that multiple different vehicles could be successfully built using a single chassis design thanks to its innovative new parts. Boasting 2X the efficiency as a standard internal combustion engine, the Hy-Wire could provide about twice the fuel efficiency of a comparably sized vehicle, emitting only water from the tailpipe. GM heads met with representatives from ExxonMobil, the world’s largest petroleum product manufacturer, during the 2002 release. They needed assurance before investing another billion dollars that hydrogen supply stations to fill up millions of hydrogen powered cars would be made available. GM knew the vehicle was so green, so cheap, and so versatile it had huge potential to crack open the global market. In short, ExxonMobil said no. The oilmen reportedly thought the Hy-Wire was a way for GM to publicly flash a newfound dedication to green technology to impede global warming regulations before they pulled the plug – just as it did with the battery-powered EV-1 in the 1990’s. The Hy-Wire may have died, but GM’s hydrogen technology is still used and invested in. This tech was used in conjunction with the US Army to create the Chevrolet Colorado ZHR pick-up. It’s kind of ugly, it’s kind of impractical, and it’s too 80’s for its own good — but the Pontiac Stinger truly left no stone unturned, and for that, it deserves our respect. 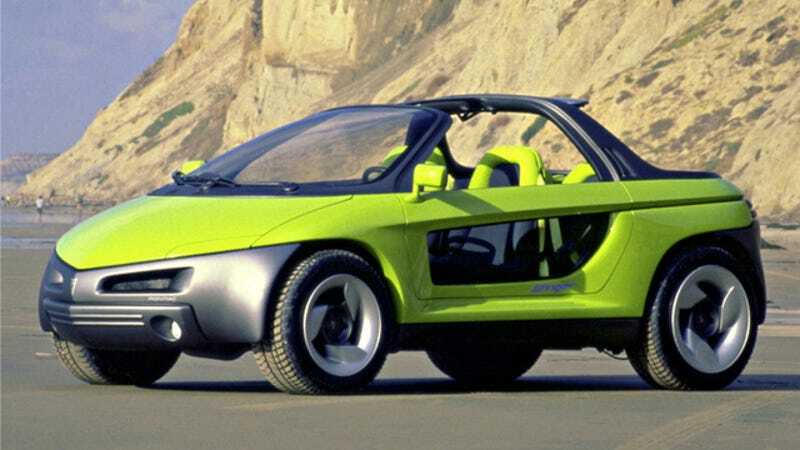 In 1989, Pontiac was fresh off the introduction of the Pursuit and Banshee projects, spacey and ridiculously cool and strange cars that didn’t make it to production – and they followed those up with a concept to champion the blossoming SUV market. Jeeps and Range Rovers had been around for years, but the 80’s market was marketing SUV’s as lifestyle vehicles for active people. The Stinger was solely targeted to young teens who spent their entire lives at the beach and needed a vehicle to accommodate all the beachy things they need to do, in a package that screamed cool, hip, edgy, and new. Cue the Stinger, a 4-door, four-wheel-drive, open top, small sport utility vehicle loaded with new tech gadgets and amenities you’d typically find at home not included in the identity of a car. Further to this mix-match of equipment, the Stinger also featured a removable rooftop, electric memory seats and steering wheel, and had rear seats that could be raised 15 inches. The Stinger was powered by a gnarly 3.0L 4-cylinder engine that generated 170 horsepower, matched to a three-speed automatic transmission. The icing on the cake? It was fitted with active air suspension that could raise the car by 4 inches to accommodate off-road driving and beach dune cruising — and its seats could be removed and converted into beach chairs and were made of a wetsuit inspired neoprene-esque material. GM has made a name for itself by generating some of the best, and weirdest concept cars on the planet. Some were slated to be picked apart with elements used in other production models, others were true innovators that could have revolutionized the automobile industry – others sound like they were strictly the result of a slow Monday in the office. Whatever the case, these concept cars are the subjects of our wildest dreams and deserve to be remembered.